Today’s featured expert is recruiting rockstar, Justine Beirne-Akley. Justine is the founder of JumpSmart Talent which is disrupting the recruitment industry by creating a monthly membership entitling members to monthly hires vs. the traditional pay per placement model. In addition, Justine is the Director at AddisonClark, an international recruitment firm where she has specialized in C-level placements in finance and development and accomplished many other impressive recruiting initiatives. 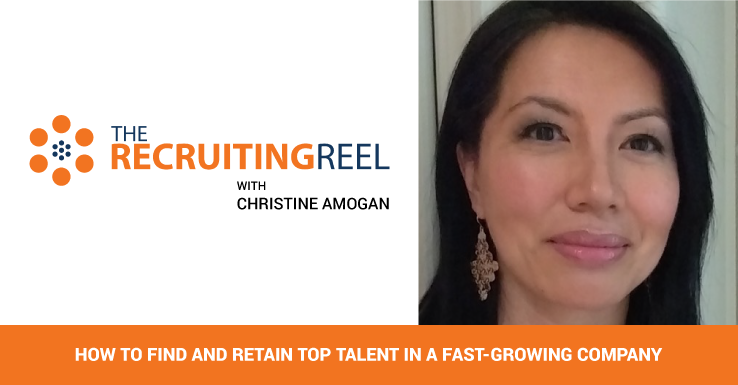 Plain and simple: Justine is a dedicated recruiter with a track record of helping growing organizations find and retain talent. 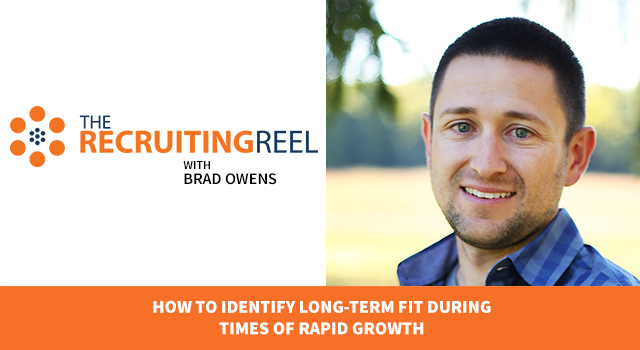 If you’re in recruiting, you know there are ebbs and flows – good times and bad times. 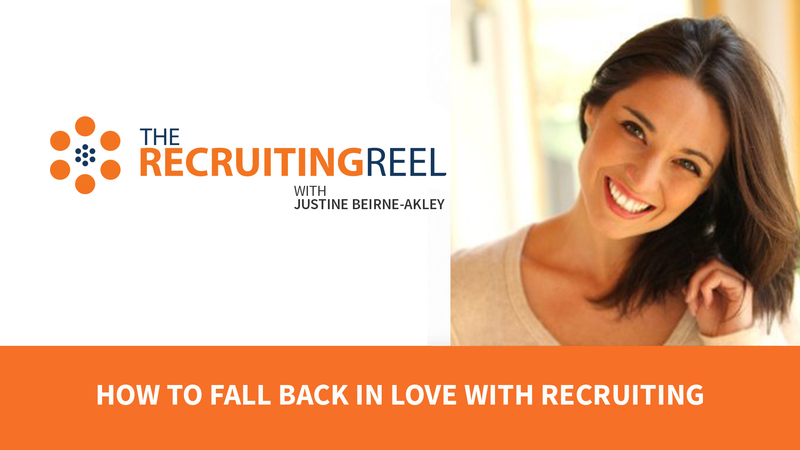 We wanted to address those bad times in this episode to help you see the positives in what you’re doing so we asked Justine how to fall back in love with recruiting and this is what she had to say! Justine Beirne-Akley: Hi! My name is Justine Beirne-Akley and I am the Founder of JumpSmart Talent and a longtime recruiter. 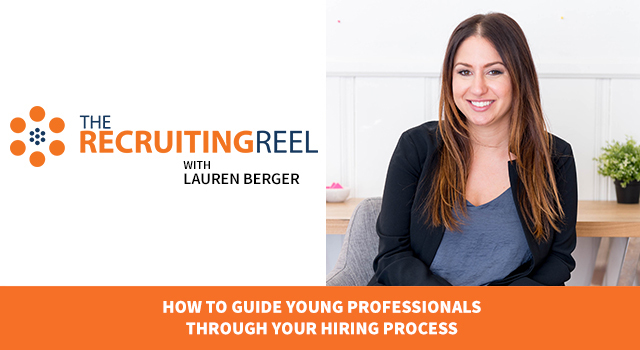 So, The Recruiting Reel asked me how to talk a little bit about how to fall back in love with recruiting. 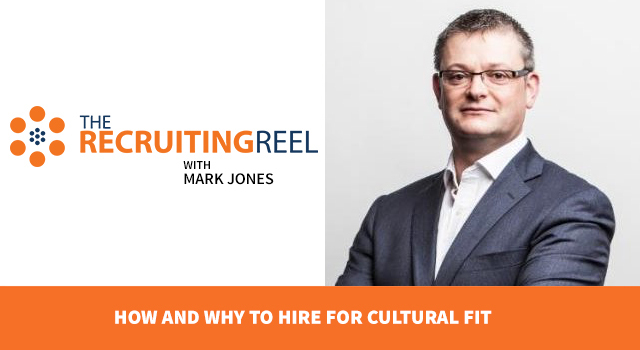 I think this is such an awesome topic because recruiting is the type of career in which you can have very, very good days and very, very bad days. I know I can remember every single deal that fell through and why for the history of my recruiting career and I’m sure you can too. However, it’s important to know that we can fall back in love with our career at any time. There are so many reasons why I love recruiting. I get to talk to intelligent, smart people all day long and learn about what makes them tick and what they’re doing in the market which is always interesting. I can control my time and my income; especially at JumpSmart where we have flex-time and a flexible work schedule. I can truly decide where to spend my time and how much money I want to make based on how much time I want to spend. Recruiting is one of very few careers that allows you that luxury. The last one is unlimited salary! No one is saying you can’t do 50 deals a year. As long as you’re willing to put the work in, you truly can have the life you want. 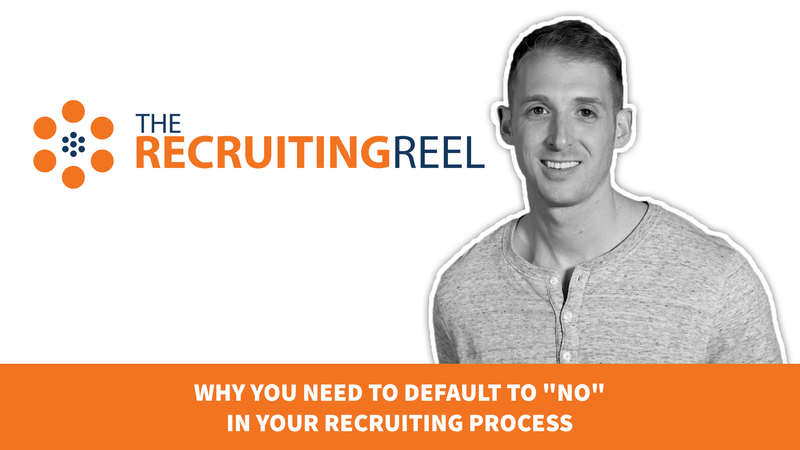 But, I think it’s important on the bad days to take some really actionable steps to fall back in love with recruiting. So, the first thing that I do when something goes wrong and I need to get my head back into the right place is to take a walk outside and grab a cup of coffee. Take a second – a five minute break – grab your coffee, grab your coconut water, whatever it is, look outside, take a deep breath and remember: you’ve been here before and today can be bad and tomorrow can be the best day of your life. The next thing that I do is take a look at my wins. I go back and I look at the quarter to see when I achieved something or when I did exceed expectations for a client or shocked myself that I found somebody in a new vertical or new field or won a client that I worked hard pitching. The last thing that I do is get out of the office for the rest of the day. I’m sorry for anyone who I used to report into that’s hearing this, but go to the gym, move your body. Take a yoga class, take a run, get on the bike. 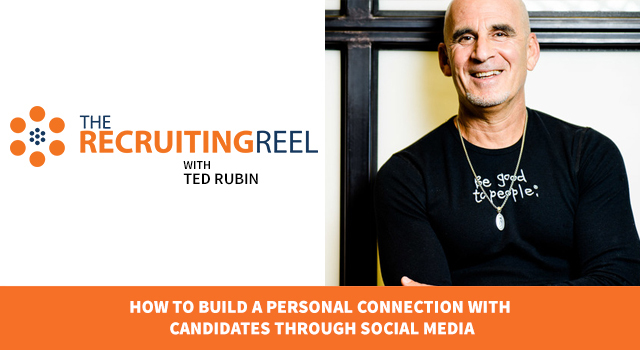 Most recruiters are former athletes and people who love to be active. At JumpSmart, it’s no different. I’m lucky to be in Los Angeles where I can go to the beach, but take a yoga class, take a run, go into Central Park, walk around the loop in Central Park, take a walk in Chicago if it’s not too cold, and just move your body. Know that your fortunes can change tomorrow and the next day. Recruitment is by far the most dynamic position you could ever be in. 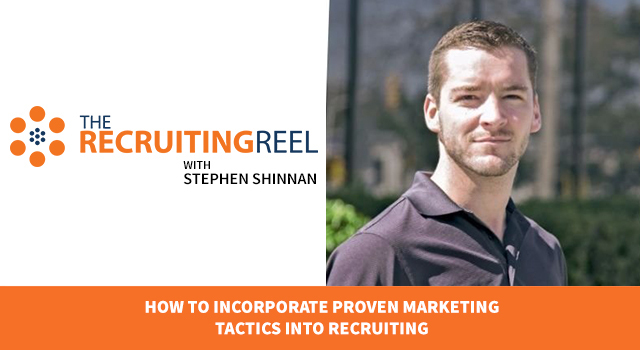 Those are my 3 ideas for what to do to fall back in love with recruiting. 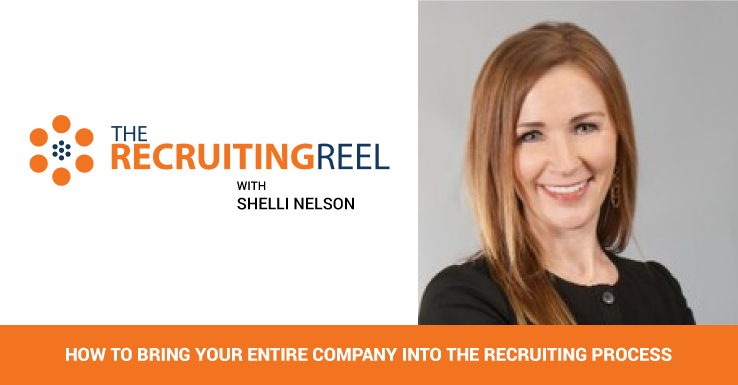 Remember, you have an opportunity as a recruiter to truly have the career of your dreams and to be surrounded by awesome, high-achieving, intelligent people while you do it. So, keep up the good work! Have a good one! Bye! Josh Tolan: Thank you Justine for bringing the positivity and helping our viewers get back on track! Recruiting can feel very lonely when things aren’t going well. Especially if your peers, colleagues, or worse, competitors, are making placements and closing deals! To overcome this lonely feeling, keep a level head, know there will be ups and downs, and stay on the grind. As Justine pointed out, use previous wins and future opportunities as motivation to keep at it and as a former baseball player myself, I always say the only way you’ll break out of that slump is to keep on swinging. So keep your head up, know you’re making a difference for both your candidates and clients, and put those kickbutt recruiting skills you’ve learned throughout your career back into action. Thank you to Justine Akley for coming on the show today. Head over to jumpsmarttalent.com to learn more about the services that Justine’s company, JumpSmartTalent provides. Follow them on Twitter @JumpSmartTalent and connect with Justine on LinkedIn using the URL below.